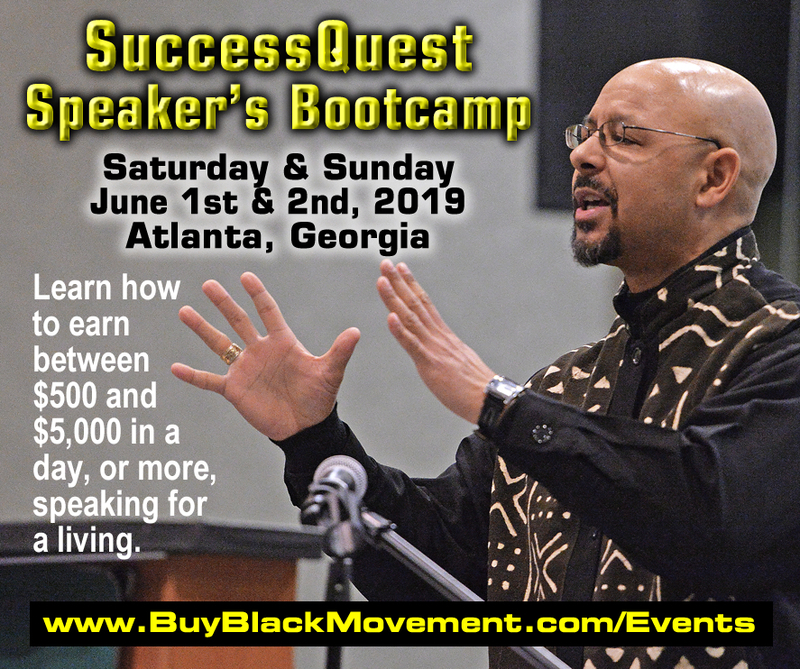 Attend Chike Akua's Success Quest Speaker's Bootcamp in Atlanta, Georgia and learn how to earn between $500 and $5,000 per day speaking for a living. 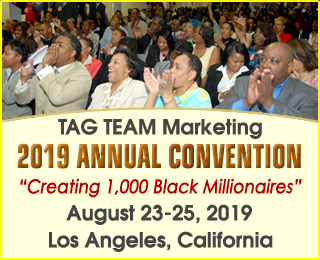 Learn how to market your services as speaker and trainer. Learn how to design your website and brochures to get booked. Learn how to negotiate and secure contracts for $500 to $5,000. Learn how to develop 1st rate, in demand speeches and workshops. Learn how to publish your own book for increased influence and income. Learn how to turn your part-time passion into a full-time income. 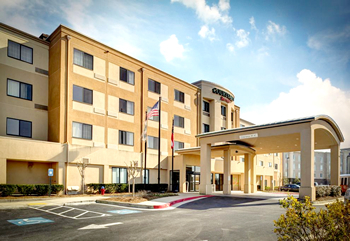 The event will be held at the beautiful Courtyard Atlanta Airport West hotel, located minutes from Atlanta Airport. We have negotiated a low $119 per night room rate for bootcamp attendees. Includes FREE airport shuttle. 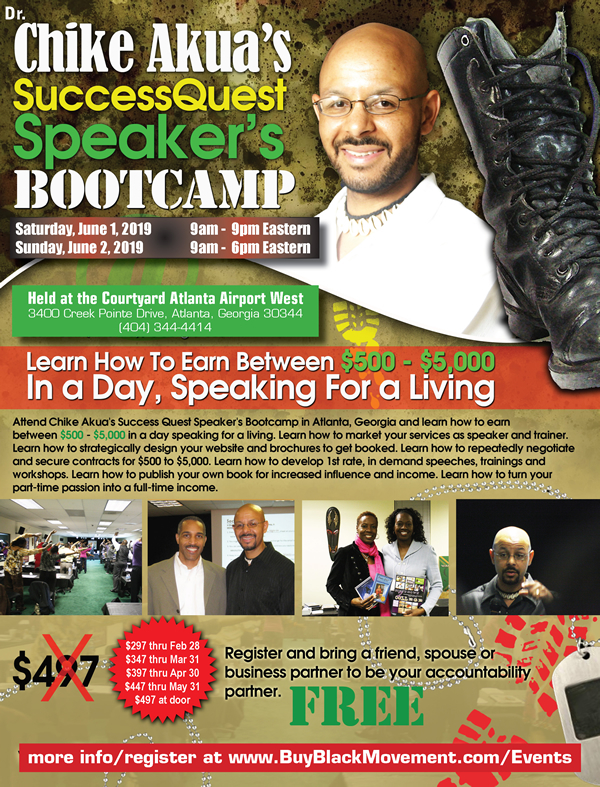 Have you paid to attend a SuccessQuest Bootcamp before? REGISTER EARLY AND SAVE. Register now and bring a friend, spouse or business partner to be your accountability partner... FREE! Must be a member of the Buy Black Movement to register and attend. FREE to join. 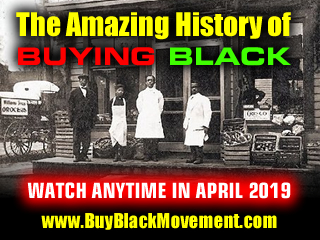 Create a free account at www.BuyBlackMovement.com.